This plugin was developed on a mobile GPU. NVIDIA GeForce GT 750M, and runs optimally on that GPU. I have stopped development on most of my plugins, as I'm unsure if they'll run on this hardware efficiently. With a simple passthrough composition (published input -> Share Value -> published output), it slowed down by about the same amount. 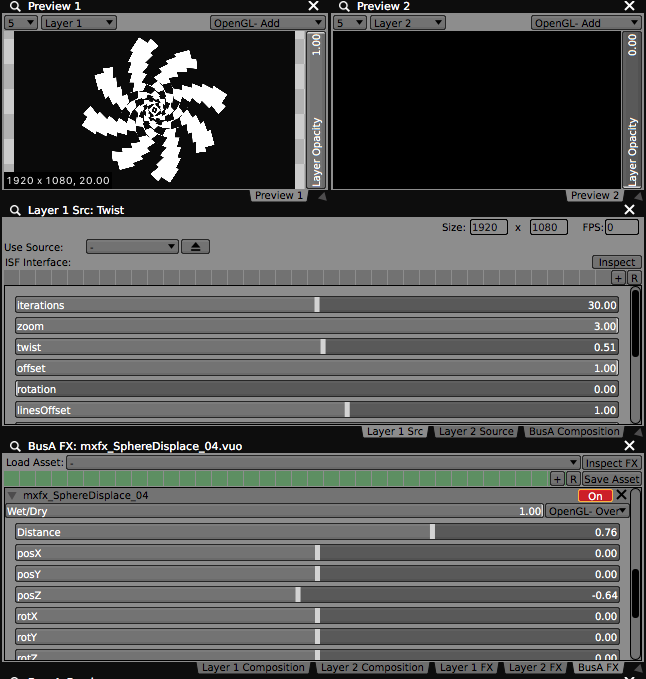 So it looks like the slow part is transferring the images between VDMX and Vuo (using IOSurface) with the ATI Radeon 7970 and AMD FirePro D500. We probably can't do anything about the slowness per IOSurface, since it's most likely a driver bug, but we can try to cut down on the number of IOSurfaces. Most unfortunate. All of these driver issues on Apple's end are becoming a disaster quickly. 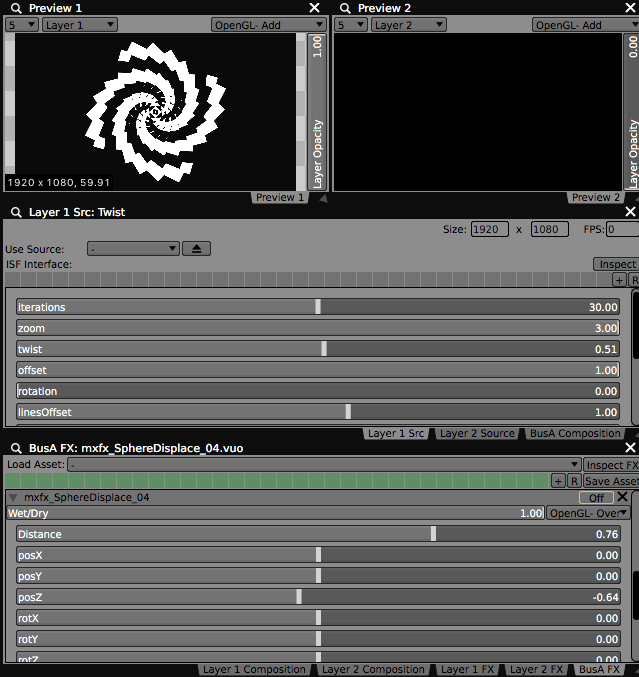 To show FPS in VDMX you need a preview plugin, and enable the fps in the UI Inspector for the preview plugin. Thanks for looking into it. Hey Jaymie these ATI bugs and Nvidia's new cards (and current GPU's) are starting to make me sway towards Nvidia. Are these sort of bugs present on Nvidia GPU's? alexmitchellmus, we've encountered driver bugs with NVIDIA, too. Since some of our team's own computers have NVIDIA GPUs (GeForce 9400M and GeForce GT 650M), we tend to catch those particular driver bugs sooner. At least for Vuo, the GeForce GT 650M performs nicely whereas the GeForce 9400M is pretty terrible, so I couldn't make any generalizations about the NVIDIA brand. Jaymie. What driver errors should I be looking for so that I can have more information on my end? Jaymie, understood. thank you for the feedback. Seems like a deep rabbithole without a map. I'll avoid protocols for now and work on standalone apps. I have another question. Is this bug re-producible when using this Vuo composition in Coge?